Sheik Shady Alsuleiman has been banned from entering Denmark. The president of the Australian National Imams Council has been banned from entering Denmark after he was placed on a sanctions list that targets preachers. According to the Danish government list of “religious preachers with entry ban”, Sheik Shady Alsuleiman has been subject to a two-year prohibition from entering the country since April 10. Repeated efforts to get comment from Sheik Alsuleiman, including by phone, email, Facebook and via the ANIC, were unsuccessful yesterday. Danish Immigration and Integration Minister Inger Stojberg, who this year was criticised for claiming Muslims should not work during Ramadan because they posed a potential safety risk to society, announced the ban against the Australian cleric in a Facebook post in April. In the post, she said Sheik Alsulei­man would be banned from entry as the Danish government, which last month implemented a ban on burkas, sought to stop certain preachers from entering the country. “Shady al-Suleiman … from today will not be let in so he can preach … in this country,” Ms Stojberg said. A religious preacher can be placed on the list if they have “displayed behaviour that gives reason to believe the foreign nat­ional could pose a threat to the public order in Denmark”. The spokesman said there would need to be a strong probability of a person seeking to enter Denmark before they could be placed on the list, which was set up after documentary-makers in 2016 filmed a radical imam telling worshippers at a mosque that adulterers should be stoned. The bans affect only travel to Denmark, where immigration restrictions have been tightened in recent years. In one controversial measure, the government allowed the confiscation of valuables from asylum-seekers to pay for their accommodation, with wedding rings later excluded. 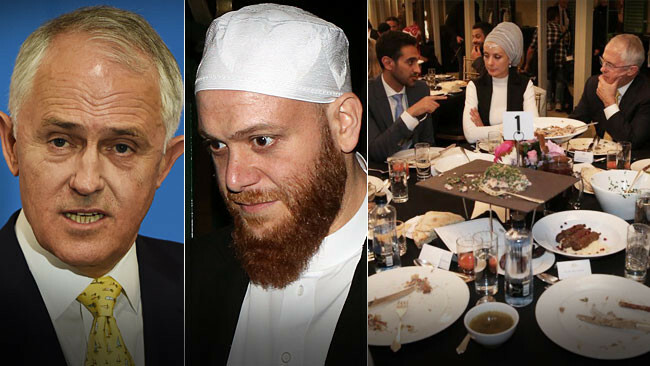 Two years ago, Sheik Alsuleiman’s attendance at an iftar dinner that was hosted by then prime minister Malcolm Turnbull at Kirribilli House created headlines because of earlier comments about homosexuals “spreading diseases”. At the time, Mr Turnbull said the views were “wrong” and “unacceptable”. But he still had dinner with the savages. 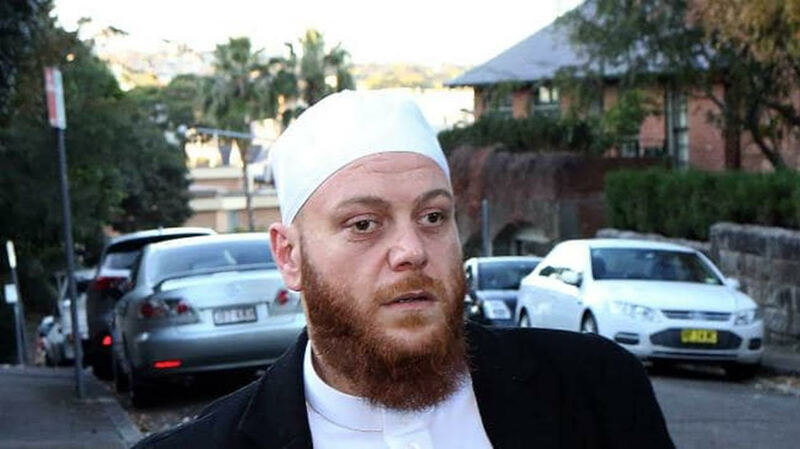 Sheik Alsuleiman joins Hizb ut-Tahrir leader Ismail al-Wahwah, who has been detained in Jordan since arriving in Amman in July, as the only Australians on the list. “Judgment day will not come until the Muslims fight the Jews … tomorrow you Jews will see what will become of you,” he said. No reason has been given for his detention. The Danish list includes Syrian preacher Mohammed Rateb Abdalah Ali al-Nabulsi, who was last year refused a visa to Australia after making comments about the execution of homosexuals. The Australian yesterday revealed Dr Nabulsi was the subject of a letter from Labor frontbencher Tony Burke regarding the preacher’s proposed visit, which was sent to the Australian embassy in Amman. A spokesman for Bill Shorten said the Opposition Leader was “unaware of this individual or his particular case” and found his comments to be “abhorrent”. “I understand Mr Burke’s request for further information on character concerns was ignored by (Home Affairs Minister Peter) Dutton,” the spokesman said. Au pairs don’t come with an ideology that wants us dead or converted. There is a difference…. The Grand Mufti of Australia, Ibrahim Mohamad, said he was unaware of the Danish government’s decision. Whenever this mufti opens his mouth, he lies. “Good” means devout. Very bad for us infidels. Dr Mohamad said he was unaware of Dr Nabulsi’s views on homosexuality. Hardly. All Muslims share these views which are religiously mandated. In a 2011 TV interview broadcast by Hamas, Dr Nabulsi had said: “Homosexuality leads to the destruction of the homosexual. According to his own website, Dr Nabulsi was giving an interview in Australia in 2012 when he said it was an Islamic leader in Melbourne who told him that in Syria, a son “will not be morally deviated”.